Make your voice come vibrantly alive! Your voice is your most flexible and powerful communication tool. Skillful use of the voice helps you speak with clarity and credibility. 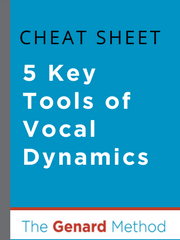 Learn how to strengthen your vocal delivery to move others when you speak. Discover how these five essential techniques can make your voice come vibrantly alive for your listeners. Get the cheat sheet and learn more.